I finally gave into vanity and pulled the trigger on a custom logo stamp. I say finally because I have saved the money for this several times over the past few years, but always talked myself out of buying it for one reason or another. The fact that I have a logo at all may seem a little odd to some of you. I could just sign my name to my drawings and the things that I make, but…the idea of having an identifying mark has always appealed to me more than having my name on something. There’s a big long story behind the why and how of my logo design coming into being, but I’ll spare you from having to read about any of that. This post is about my new stamp. 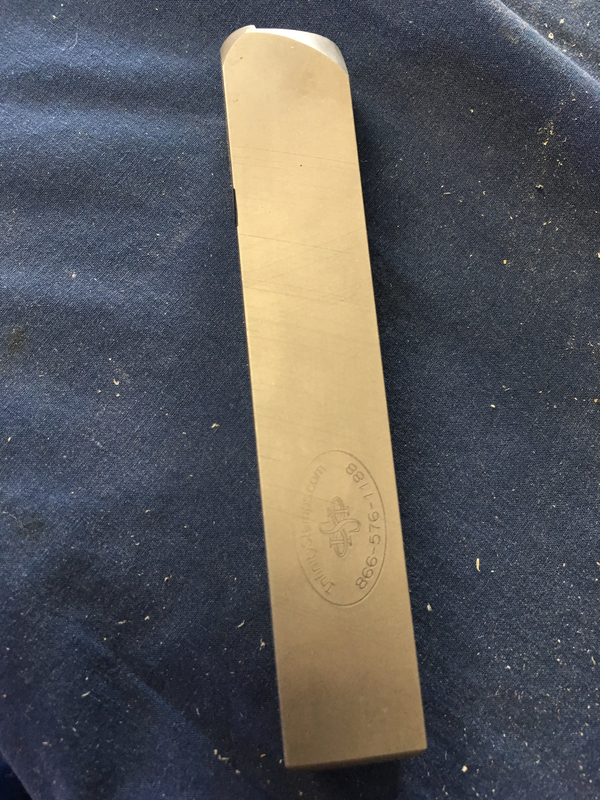 There are several companies out there that can produce a custom stamp for stamping just about any material you may want to put a mark on. I’ll admit that I didn’t do a lot of research and comparison of companies, I simply went with the recommendation of Christopher Schwarz‘ experience, Infinity Stamps. The process started with my requesting a quote based upon my provided sketch and desired finished size. In less than 24hrs I received a reply as well as details on how to proceed. Infinity Stamps can provide artwork services to convert your sketch or idea into a working design for a small charge. However, I was able to provide them with a digital file that was in the correct format for production after a few tweeks on my end. The entire process, from quote to production, was simple and customer support was fantastic. (Thanks Mindi!). Once the design and format was approved, my stamp went to production and arrived at my doorstep several days later. The quality of the finished product is fantastic! 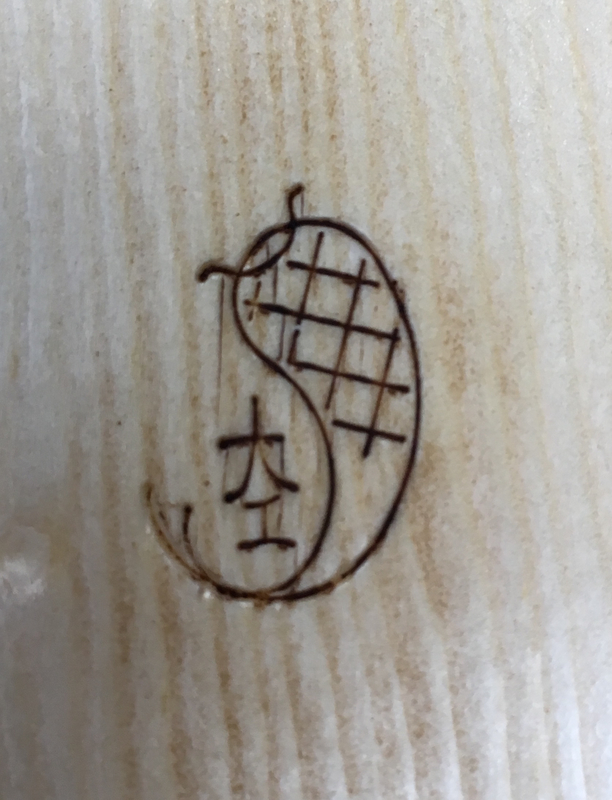 The first thing that I noticed is that the entire stamp is well finished. Consequently, the stamp feels good in my hands. The striking end is milled to create a center striking area. There is an indexing groove on the side of the body that will make orienting the stamp easy. The business end of stamp is crisp and flawless. Quite impressive given the small size (15mm x 20mm) and intricacy of my design. Using the stamp is as simple as can be. Place it on the wood and whack it with a hammer. It took me a couple of test runs to get a feel for how hard that whack needs to be. 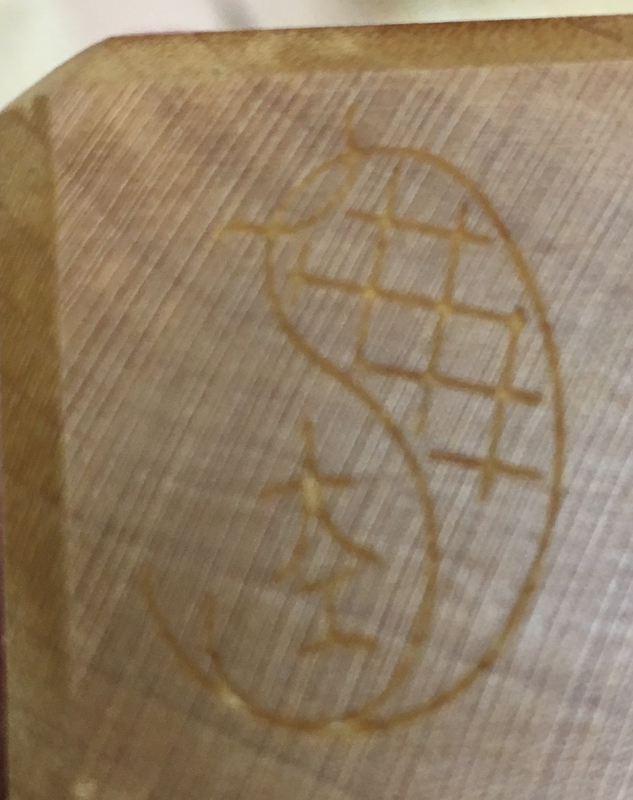 End grain stamping is hard to screw up. Face grain takes a little more finesse. Too light a blow and the image isn’t crisp. Too hard and I’ll crush some of the fibers. The stamped image is so fine that it lends itself to kolrosing (Hillbilly Inlay) too. So, I’ll be on a stamping spree for the next little while. Nothing will be safe from receiving my “stamp of approval”. I also know what my next project will be. This stamp needs a dedicated storage box. I’m very happy with this stamp and wish that I had taken the plunge long before now. So if you have been kicking around the idea of having a custom stamp made, go for it. I can also highly recommend Infinity Stamps as well. My experience could not have been any better and the final product is a thing of beauty. This entry was posted in Logo Stamp. Bookmark the permalink. Pretty cool Greg. Its stainless?? (packing lunches you can stamp your bread, use while baking Christmas cookies, lol.) Is it made it a way you could heat the stamp to burn it as well? 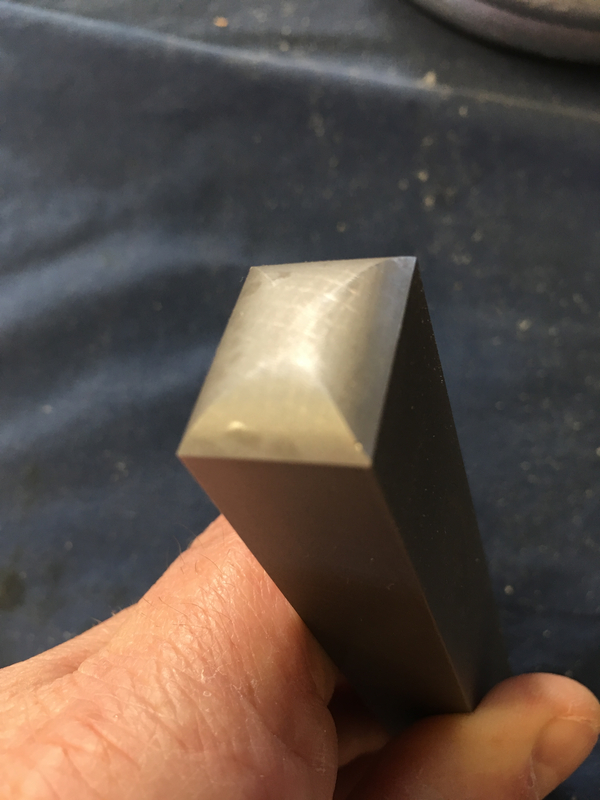 LOL…it is made from tool steel. I believe it is hardened, but can’t say for sure. I doubt that it would be a good idea to heat it and use it as a branding iron. Infinity Stamps does have an affiliate company that produces custom branding irons though. I am going to get an ink pad and try using the stamp for signing my drawings. The drawings would be an awsome place for that. Even when you are not actively making things, this blog is fun to read. Instead of commenting for each and every post on the kanna(s), I’ll just write here – thanks, that was enlightening. I apologize if this is considered rude (different culture & country), but I am curious to know how far was the quote from the initial price mentioned in their site (130$?). On a different note – we discovered a few years ago that my family has actually a coat of arms – with a few tweaks here and there it could translate into a funny stamp. Thank you…glad to hear that you are enjoying my blog. Factoring in the size, design and shipping the stamp ended up costing my $199.00. A little more than I initially expected, but the finished product is well worth it. It is even better than I had anticipated. Any particular/technical reason to go with this instead of a ‘burning iron stamp’. Thanks Antonio. 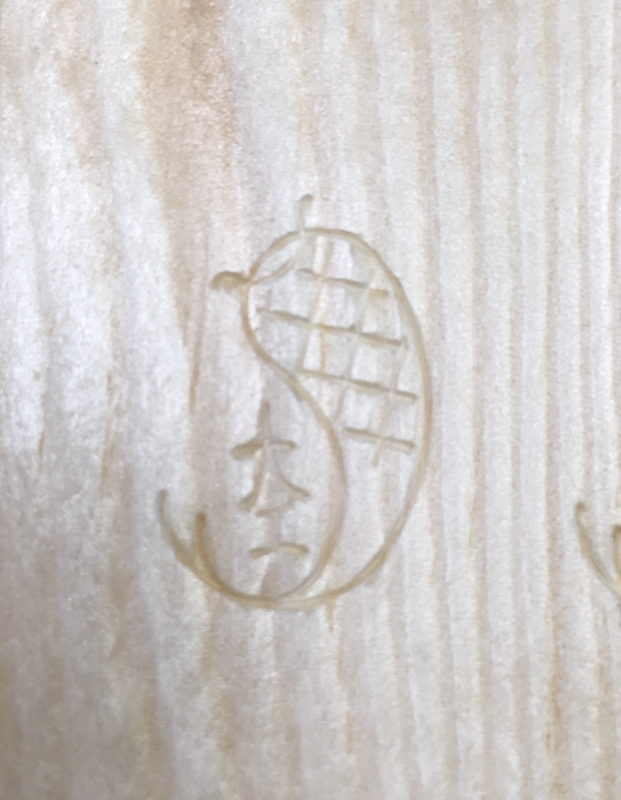 In the end I felt that a striking stamp would be more versatile than just a branding iron. Time will tell. I loved the stamping spree part, I’ve looked at infinity some time ago when Tom Fidgon made his reccomendation. 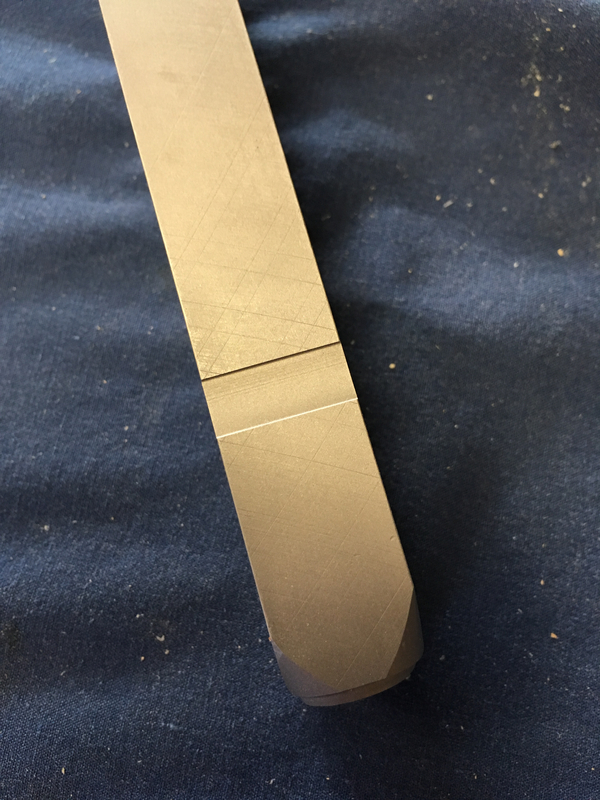 I think it’s great for tool making and many other things you suggested but I can’t think of a logo that will tickle my fancy. I wanted to use the one of me sawing but I don’t think they can make one with such clarity or can they. Salko, you may be surprised at how much detail they can handle. 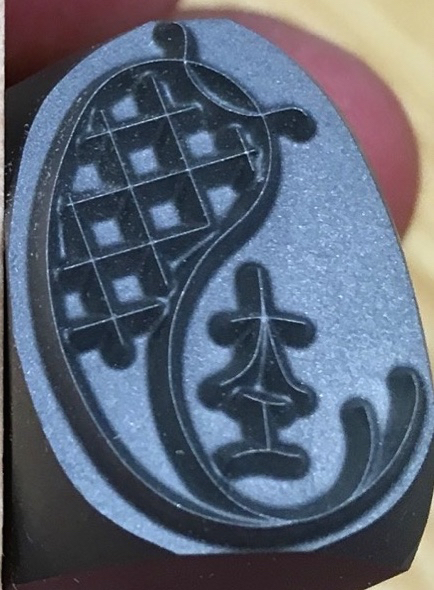 The Lost Art Press logo stamp is very fine lined. So If you are going to establish a logo, make it exactly the way you want it and see if they can produce it. They are very easy to work with and will guide you in any changes that may need to be made. I’ll send them an email and see if they can. Its a photograph which makes me skeptical but would be awsesome if they could.